Covering only 3 % of Earth's total land area, four overlapping biodiversity hotspots in South East China - Indo-Burma, Philippines, Sundaland and Wallacea - are estimated to be the home of the astonishing 20 to 25 % of higher plant species in the area. While offering an insight into this extraordinary flora, a new special issue published in the open access journal PhytoKeys, contributes to the total count with seventeen new species from the region. H. putaoense, a new representative of the Zingiberaceae genus Hedychium, commonly referred to as "ginger lily" or "butterfly lily" for producing some of the most beautiful & fragrant flowers in the family. Entitled "Plant diversity in Southeast Asia" the special issue hosts twelve articles devoted to the cause of promoting awareness the biodiversity richness of the region while raising concerns on its conservation. "With this collective effort we showcase taxonomic discoveries as a route to bridging the gap between what we currently know and what is actually out there in terms of biological diversity,"explains special issue editor and contributing author Prof Xiao-Hua Jin, Southeast Asia Biodiversity Research Institute (SEABRI), Chinese Academy of Sciences. "Understanding biodiversity is increasingly crucial for its conservation and towards achieving sustainable development in the shadow of climate change and the growth of economy and population." In their big venture, Dr Jin and his co-editors and authors were financially supported the Chinese Academy of Sciences through the SEABRI Institute, a venture established in 2014 with the specific task to help understanding and conserving the biodiversity in Southeast Asia. Due to its notable botanical diversity Southeast Asia has long been an area of interest for biological surveys and scientific research. Despite the extensive effort to date, however, the species richness of the region remains by far underestimated. In fact, many species might become extinct before we even know that they existed in Southeast Asia. "Although it will be an unquestionably daunting task, it is extremely urgent to investigate, understand and conserve our biota," explains Prof Xiao-Hua Jin. 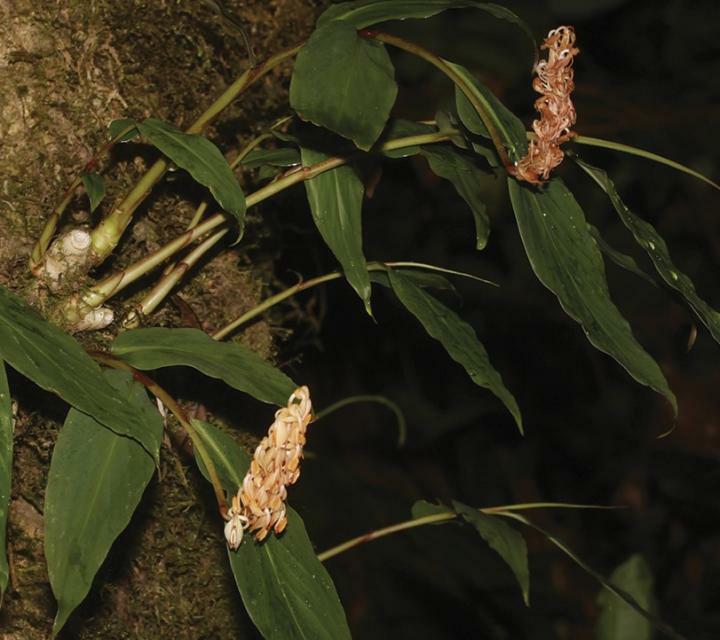 Within the twelve articles hosted in the new special issue, readers may learn more about: two new species of Oreocharis (Gesneriaceae) and a new species of Didymocarpus (Gesneriaceae) from Vietnam, a new species of Aristolochia (Aristolochiaceae), a new species of Dendrobium (Orchidaceae), a new species of Gastrodia (Orchidaceae), a new species of Hedychium (Zingiberaceae) and two new species of Trivalvaria (Annonaceae) from Northern Myanmar, a new species of Primulina (Gesneriaceae) from southwest China and seven species of Begonia (Begoniaceae) from Northern Vietnam and Southern China. The Southeast Asia Biodiversity Research Institute (SEABRI) was established by the Chinese Academy of Sciences in 2014 in order to understand and conserve the biodiversity in Southeast Asia. It is an international scientific research and education organisation managed by the Xishuangbanna Tropical Botanical Garden (XTBG). With financial and personnel support from Chinese Academy of Sciences, SEABRI seeks to substantially improve our understanding and conservation of biodiversity in Southeast Asia by cooperation with all CAS institutes, international agencies and governments of ASEAN countries.